Laura Rees-Evans is an English-qualified solicitor and Associate. She has wide-ranging experience in public international law and international disputes. She has a particular interest in boundary disputes, treaty interpretation, responsibility and immunity of States and international organisations, international human rights law (including business and human rights) and international humanitarian law. Laura has acted for both claimants and respondent States in international investment arbitrations under all of the major arbitral rules (ICSID, SCC, UNCITRAL), as well as in ad hoc inter-State and commercial (LCIA) proceedings. She has also advised on a variety of international law issues before domestic courts (most recently, in an English case involving matters of sovereign immunity and in a Dutch court challenge against an UNCITRAL arbitral award). In the past year, Laura spent six months on secondment to the UK’s Foreign & Commonwealth Office, advising on a variety of public international law issues arising out of the UK’s withdrawal from the EU. Laura holds an MA in Jurisprudence with Law Studies in Italy (first class honours) from the University of Oxford and an LLM in International Legal Studies from New York University. Prior to joining Fietta, Laura worked at a leading US law firm, a leading public international law firm and a UK “magic circle” firm. 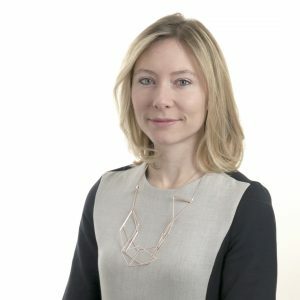 Prior to qualifying as an English solicitor, Laura worked as a legal and disarmament affairs advisor at the European Union Delegation to the United Nations in New York. Laura’s full curriculum vitae is available here.